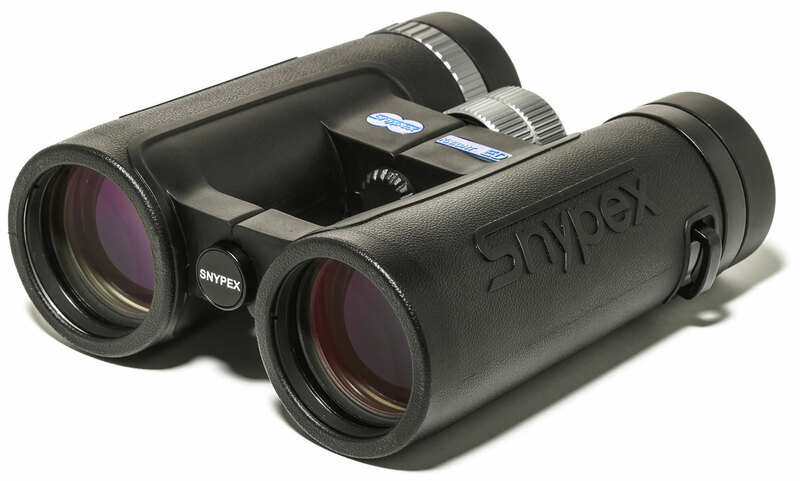 A new optics company, Snypex LLC. is based in the US (New York). 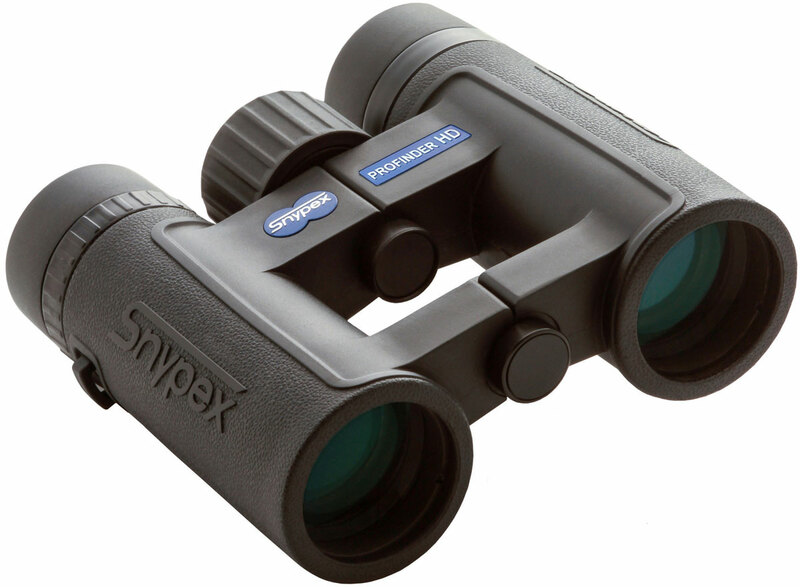 Snypex sports optics currently offer a small but expanding range of mid to high end optical products that includes binoculars, spotting scopes, accessories for digiscoping and laser range finders. Designed using cutting edge technologies most of their current optical instruments come with ED glass, strong, lightweight and waterproof magnesium housings and many other features and so make them ideal for most outdoor pursuits. 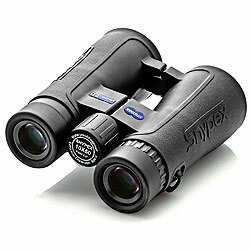 Snypex Optics currently have a small range of binoculars but are in the process of adding more ranges to their stable. With mid-size (32mm) and full-sized bins in both 42 and 50mm objective lenses, currently all Snypex binoculars are primarily aimed for use outdoors (wildlife observation, birding, hunting, hiking, safaris etc) and are available at the mid to high end spectrum at what looks to be at competitive prices. 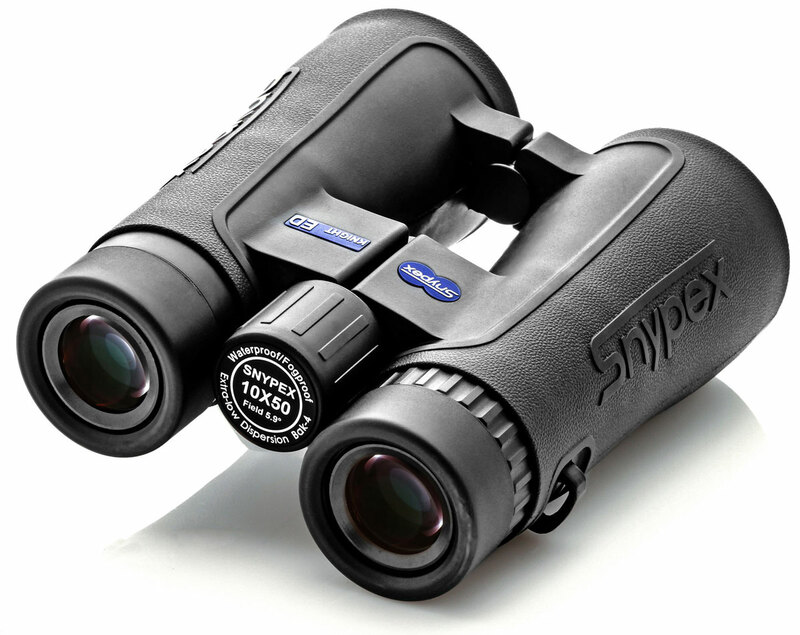 After carefully listening to both customer as well as feedback from BBR on their Knight ED series, Snypex introduced the new 'new and improved', chart-topping Knight D-ED binoculars. Whilst largely the same as the 'standard' ED series (see below), upgraded elements include the inclusion of Dielectric mirror coatings on the prisms to increase light transmission to the highest possible levels. Also improved are features like a machined aluminium focus wheel that as well as performing better, just adds that extra touch of class to elevate the instrument to the highest levels, both functionally and visually.. The 32mm versions can now be purchased for around $440, whilst the 42mm versions are at around $480 and the 50mm Knight D-ED's will set you back approximately $700. Snypex's most recent offering and their current flagship range is their selection of Knight ED binoculars. There are currently six models within the Knight ED series (8x & 10 x32mm, 8x & 10 x42mm and 8x & 10 x50mm), all are roof prism bins with magnesium chassis that are fully fog and waterproof and sport an open bridge body design. The Knight ED is aimed at the higher end of the market and include many very high quality optical components and coatings including the use of apochromatic compound lenses with extra-low dispersion (ED) glass elements. Other optical features include fully multi-coated optics that you would expect at this price point, but they also have water-repellent coatings on exterior lens surfaces, that not only make them usable in damp conditions, but makes them easier to clean, thus you are less likely to permanently mark them during cleaning. The roof prisms are all made from top quality Bak-4 glass and they have been phase coated to ensure the best quality image is maintained. 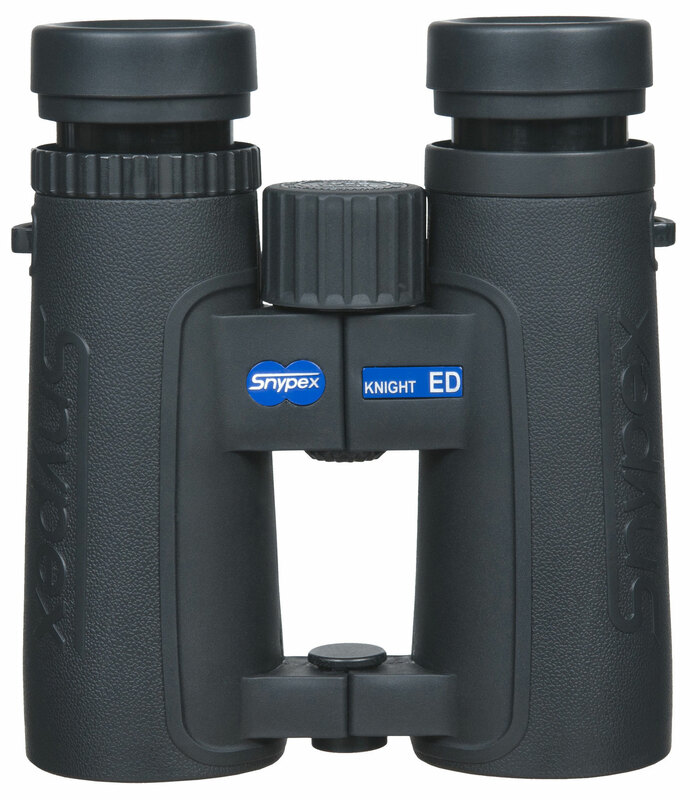 These mid to high value Snypex Knight ED binoculars have a recommended priced from between $440 for the 8x32, to just below $600 for the 10x50, with the Snypex 8x42 Knight ED costing about $480. 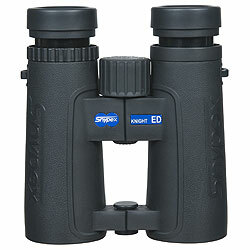 Sitting just under the Knight ED series are the Snypex Profinder HD binoculars. There are three 8x magnification bins within this series, with different sized objective lenses available (8x32mm, 8x42mm and 8x50mm). They have what Snypex call their HD optical system, so like the Knight ED's they all use Bak-4 roof prisms that are phase corrected and the optics are fully multi-coated for improved light transmittance. 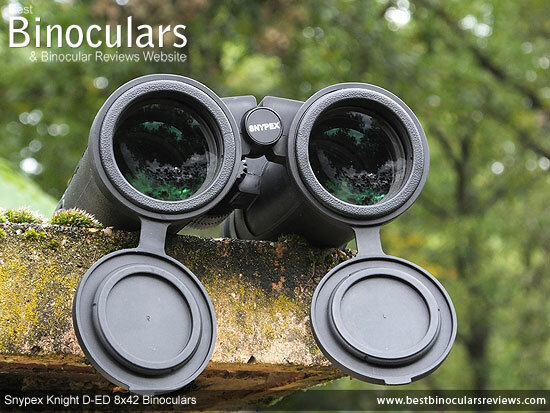 Whilst the bodies are almost identical, the main difference between these and the Knight ED's is that they don't use an apochromatic lens design and they lack ED glass in the lenses, which results in a much lower costing instrument, but with only a small reduction in optical performance. As already mentioned, the open bridge body design looks to be very similar, if not identical to the Knight ED's, which is a good thing as I found them to be both comfortable and secure to hold onto. The 8x32 Profinder HD has a fiberglass-reinforced polycarbonate body, whilst the larger 42mm and 50mm models models have even stronger magnesium alloy bodies. All models are both water and fogproof as you would expect. 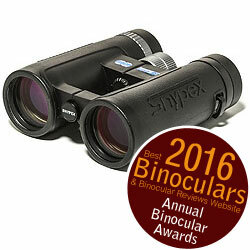 Below are some featured and fully reviewed Snypex Binoculars: View >> All the Snypex Binoculars that I have reviewed.